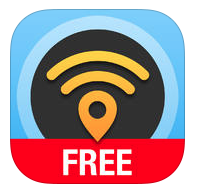 Kick your roaming charges into touch with a clever app that shows you where you can tap into the nearest WiFi all over the world! It’s a backpacker’s dream, it’s a business person’s buddy, it’s any globetrotters best friend. It is a sure fire way to stay in touch with friends, family and colleagues without racking up enough roaming charges to break the bank before you get home. 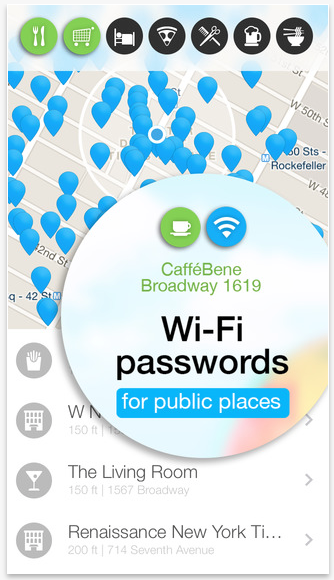 WiFi Map does exactly what it says on the tin – it shows you a map of all the WiFi hotspots including directions on how to get to them, and the passwords to use once you get there! Oh, before you think – well how to I get online to find the nearest Wi-Fi spot without it costing money… WiFi Map WORKS OFFLINE! Yep, this app is pre-populated with everything you need to get you hooked up to the ‘net quicker than you can chuck a dongle in the bin. This app is well and truly a four-point-fiver, with many happy users on Android and Apple devices singing it’s praises. Not bad for a free app! Word of warning, the Pro version, which costs around $5 has a lot less favourable rating, and while the free app is free to download, there may be in-app purchases to access some passcodes. This entry was posted in travel apps on November 1, 2015 by worldwideinsure.